George Qhegeous here again with maybe another grand find,if only. 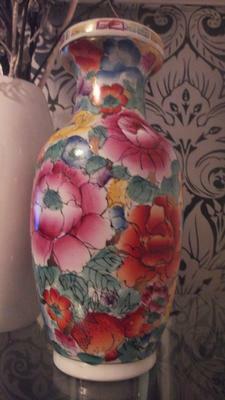 I have this vase and searched the web for info but to no avail. I found some of the six characters to the seal maybe made out a qing mark but I'm no expert and looking through chinese markings has me confused on many occasions and like you have said before the mark isn't all it is cracked up to be. So any info on its origin, date, pattern and/or value would be highly appreciated. 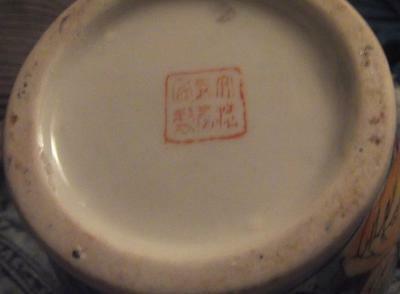 You will have difficulties finding data on non-antique marks or items, with China having porcelain manufacturers in the hundreds or thousands. The mark is irrelevant. 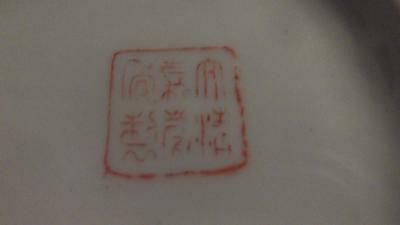 This type of stamped mark is commonly found on recently made porcelain, added for decoration only. I would say this vase is two decades old, perhaps newer.